Hue - HCM Trail - Hoian | B-MotorTour '+g+"
Hue to Prao We start at 9 am in Hue, pick you up at the hotel and go onto highway No. 49 into the surrounding countryside of Thua Thien Hue province. We enter a new planted jungle ,see the regrowing nature, enjoy the fresh air coming down the hills and feel the spirit of freedom. See locals working in the jungle before we arrive the Mau Waterfall which is 40 km away from Hue. Here you can swim and relax a bit. Then we are going up to the Ma Oi Pass and driving into amazing hillside, with huge mountains on the horizon. 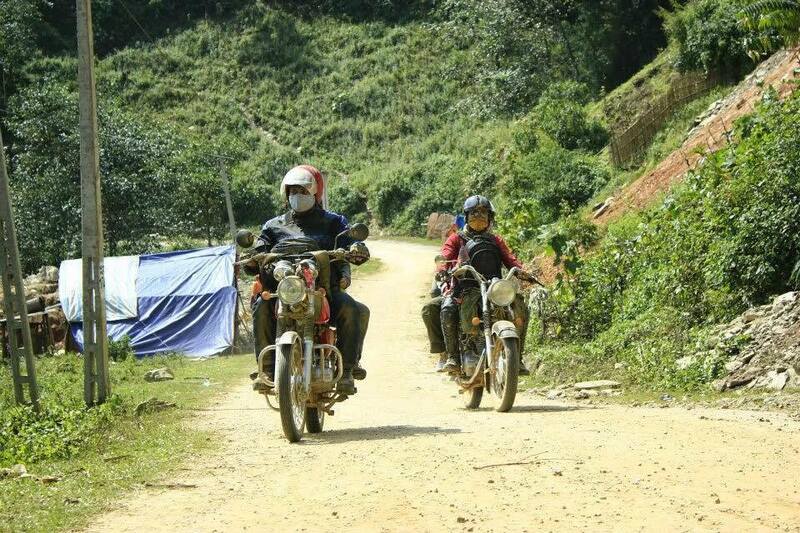 After this beautiful ride, we reach Bot Do, located at the famous Ho Chi Minh Trail, at 12.30 pm for lunch. Now we ride on the Ho Chi Minh Trail, along the Lao Border for some kilometers. There are a couple of minority villages and amazing waterfalls, right to a bath to cool down, before we enter the deep jungle near A Tep. 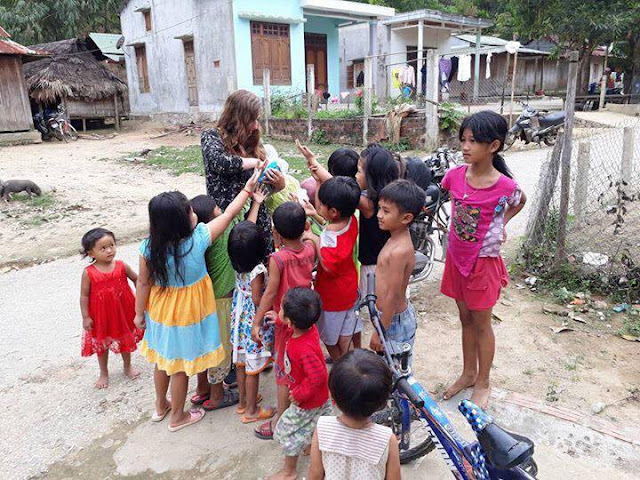 On the last part of the day, 1 we go down to Prao and see plenty of minority houses located at the Ho Chi Minh Trail. See different kinds of living, working people and visit friendly and happy people managing their hard life. With the mind full of impressions, we reach Prao town to stop overnight. Free time at night let you imaging the passing day. Prao town - My son - Hoi an After the breakfast, we start at 8.30 am and go along the Ho Chi Minh Trail again. The big and very nice road takes us to some beautiful lakes on the bottom of huge mountains. In Thanh My, we leave the Ho Chi Minh Trail and head onto My Son, cross two rivers and ride through the countryside to the World Heritage, My Son.